Or call us at 1-800-337-8550. 3-night minimum stay in all units. $50 Cleaning fee for stays that do not meet the minimum required nights. You are responsible for every night of your reservation. Payment due on arrival. Visa, MasterCard, Discover, personal checks and cash accepted for deposit and payment. Taxes are 6% state and 4% local. Deposits required within 7 days of making reservations to confirm. If deposit is not recived within 7 days of making reservations, The reservation will be cancelled. Payment, in full, due at check-in. Cabins, Townhouses and Holiday House $200.00 deposit or $400.00 for a week. 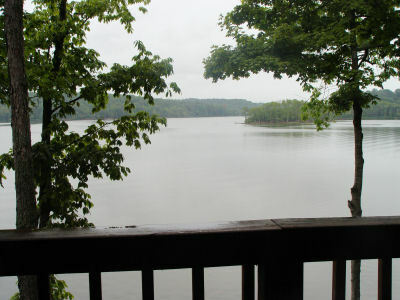 Cabin in the Woods and Efficiency $125.00 deposit or $250.00 for week. Accommodations will be held for 7 days only, pending receipt of your deposit. There will be a 15% processing fee for any cancellation. If cancellation is made 30 days prior to arrival date, there will be no refund. Management will make every effort to reschedule reservation within same year & apply any deposit, minus 15% to new reservation.